The summer is flying by, hope you get a little down time before it is over. Steve & I visited Fairbanks to meet the newest member of the family, our 4th granddaughter. Keep in touch on Facebook at Steve's Gourmet Olives & Moonbay Gourmet. We always welcome your feedback. Bee Wild Honey is raw, gourmet honey produced in small batches in the Georgia Mountains. It is run by 3rd generation bee-keepers who are committed to sustainability. WILDFLOWER honey is robust, complex and floral and pairs well with tea & gourmet cheeses. GALLBERRY honey is rich and buttery with a butterscotch finish and pairs well with Greek yogurt, oatmeal & baking. Taste for yourself at Sprouts Palm Harbor on Aug 12th, 19th & 26th. Intensity Academy roasts over 100 pounds of fresh garlic for every batch of Garlic Goodness. 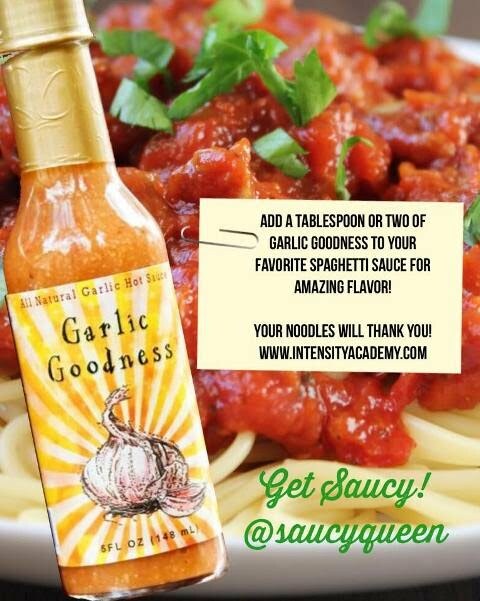 This delicious, all-natural garlic hot sauce is available throughout Tampa Bay including Winn Dixie stores, Hyde Park Market and Seminole Heights Market. We are a food & beverage consulting company based in Tampa, FL specializing in marketing, social media management, photography, in-store demos and more. Let us know how we can help you grow.